Electronic mail has become the basis of modern efficient communication. Unfortunately, email security has not been implemented to an equivalent extent during the development. Are you aware of the fact that every standard email is sent in clear text and can be read by anybody? Today, personnel information, legal letters, medical files, financial and fiscal information are sent by the millions, almost like postcards. Here, CONCIPIA offers a solution for professional email encryption. Security in this regard should not restrict work convenience and should not tie up any additional staff members. 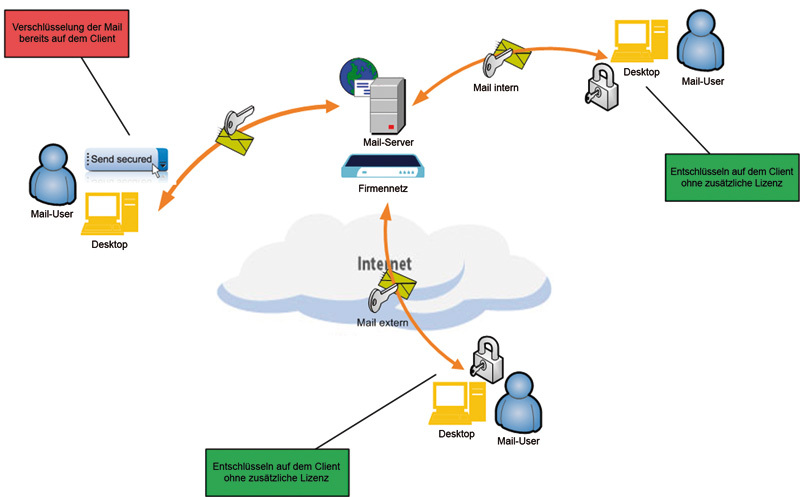 CONCIPIA offers a system that secures the emails directly from the sender to the recipient – not only from the mail server!